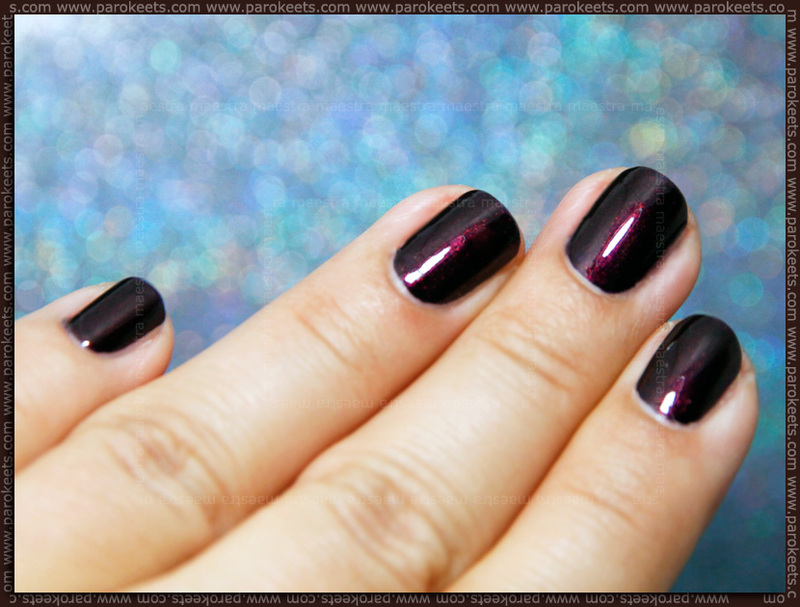 Gejba showed you her OPI Germany Collection minis in her previous post and today I am going to show you my only buy from the Germany collection for Fall 2012. 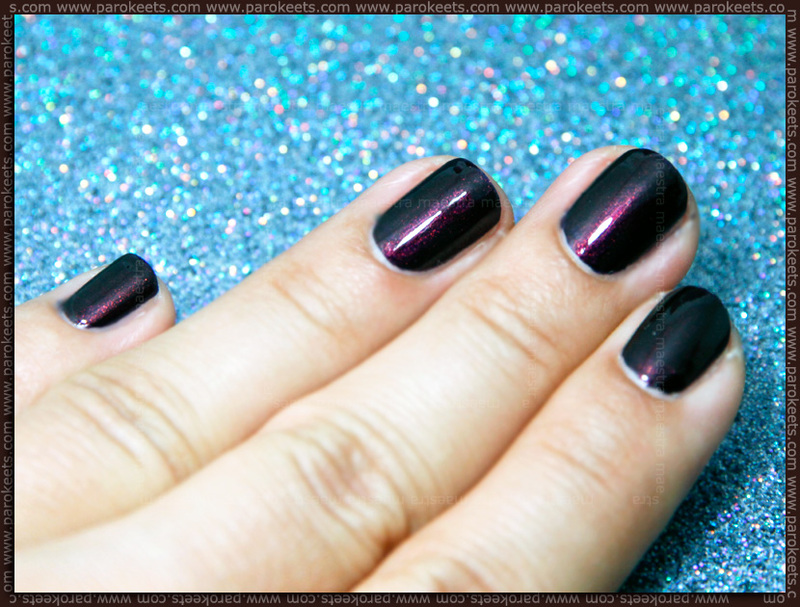 Every Month Is Oktoberfest is a dark purple based polish with red shimmer. 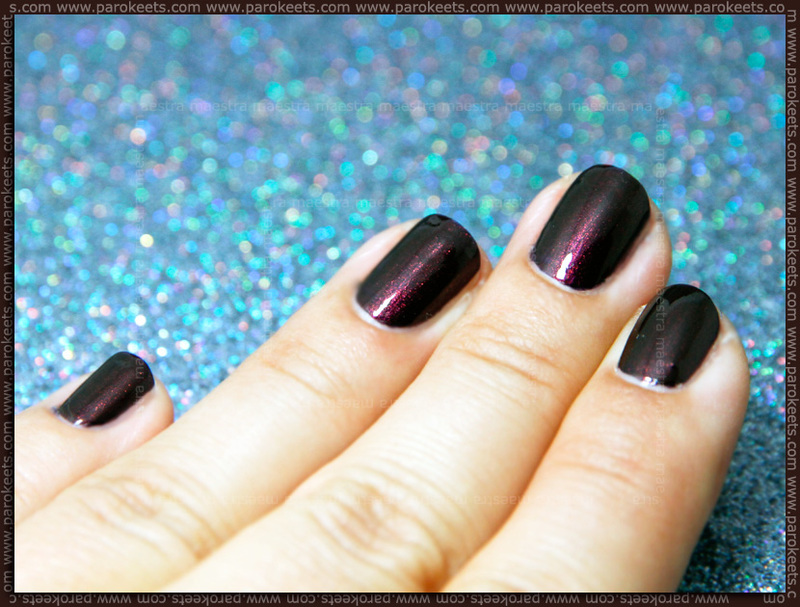 The shimmer is slightly duochrome, which is only visible in the bottle. It changes color from red to yellow (gold). On the nails the duochrome effect isn’t visible but it gives the polish dimension. 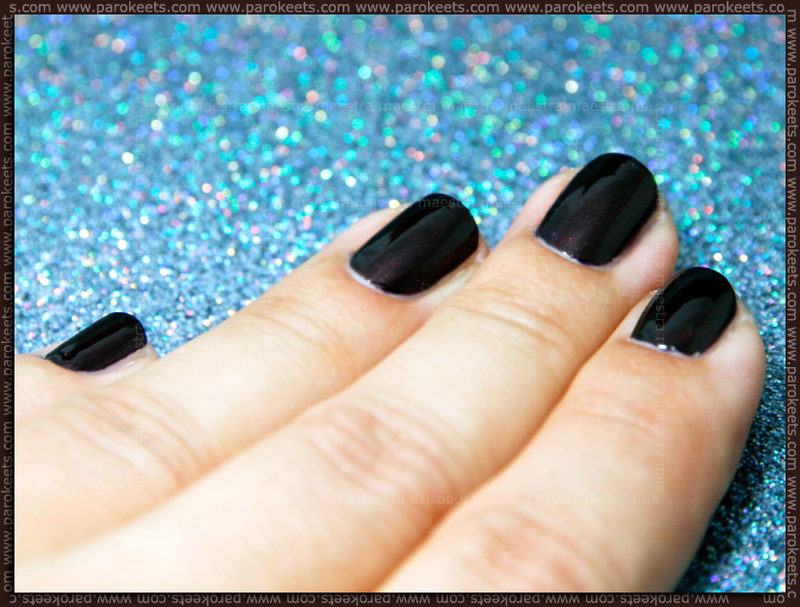 It is one of those polishes that glow in the middle of the nail and the edges look really dark. Love it! It is such a nice vampy color. Perfect for fall! This is it. I love the polish and I don’t regret buying it. From this collection I also like the neutral shades, but I don’t think I am going to buy any of them. What are your favorites from the Germany collection? Next articleShoes: Dr. Martens, my love! Don’t Pretzel My Buttons is really nice.